J, David Kerr is a Michigan attorney with 44 years experience. 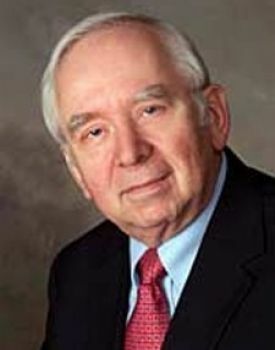 He graduated from Hillsdale College in 1962 and from the University of Michigan Law School in 1965 with a Juris Doctor. He completed a three year post doctorial program in Organization and System Development in 1983. David practices in the areas of Estate Planning, Trust and Estate Administration, Business Planning, Asset Protection, and Long-Term Care Medicaid Planning. He is a published author and a frequent speaker at seminars and workshops. He wrote and taught the estate planning course at Central Michigan University while he was General Counsel for the University. David is a member of the Member Advisory Board for the National Network of Estate Planning Attorneys, a graduate of the Advanced Wealth Planning program of the Esperti Peterson Institute, participated in the Esperti Peterson Master's program, and is a past President of the Michigan Forum of Estate Planning Attorneys. David is often requested to collaborate with financial professionals and other attorneys on estate planning designs. David teaches Trust Administration and Settlement, Medicaid Planning, and Deferred Compensatin for the National Network of Estate Planning attorneys and teaches many workshops for clients and professionals. David and his wife, Karen, reside in Mount Pleasant, Michigan.